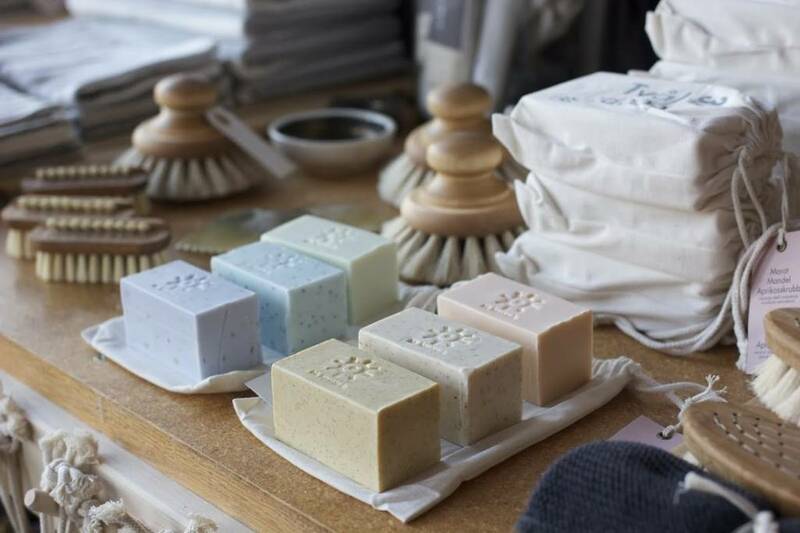 IF YOU HAVEN'T TRIED THESE SOAP SETS FROM OUR FRIENDS AT IRIS HANTVERK IN SWEDEN, YOU ARE MISSING OUT. TWO DIFFERENT SETS OF THREE TO SUIT YOUR FANCY; THE "COOL COLOR" OPTION IS LEMONGRASS, POPPY, AND LAVENDER, RESPECTIVELY, WHILE THE "WARM COLOR" OPTION IS CARROT, ALMOND, AND APRICOT. THEY SMELL AMAZING, FEEL LUXURIOUS, AND EVEN HAVE EXFOLIANTS IN THEM. YOUR SKIN WITH THANK YOU!